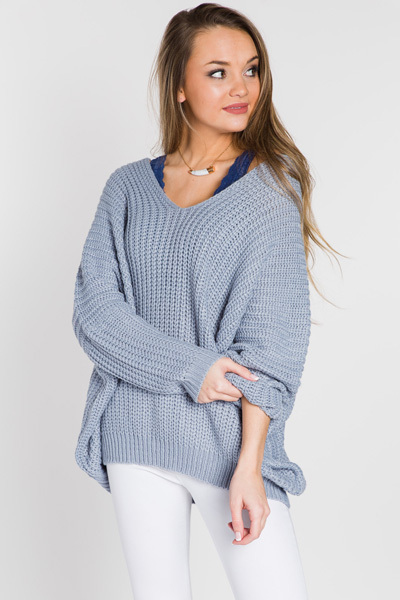 This loose knit, oversized sweater in the prettiest blue hue is sure to become a crowd favorite! 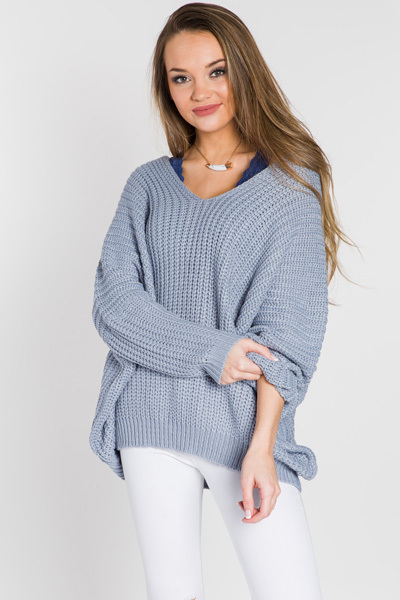 A great length + slouchy fit.. perfect with a bralette! 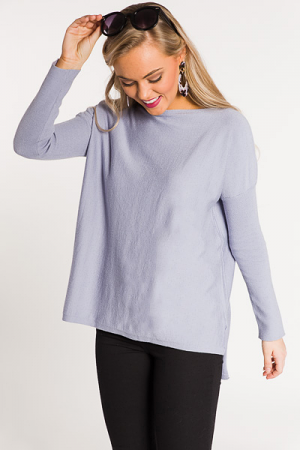 Fabric is 100% acrylic, so it's soft, stretchy, and oh so comfortable! Fit is loose. 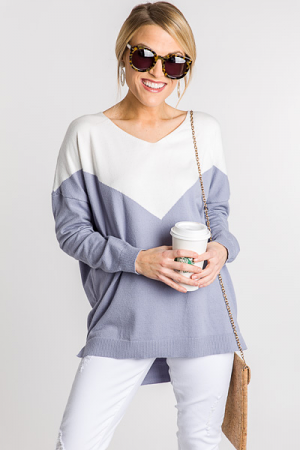 Model is wearing a S/M.